Niki’s Square lies in the center of Kozani. 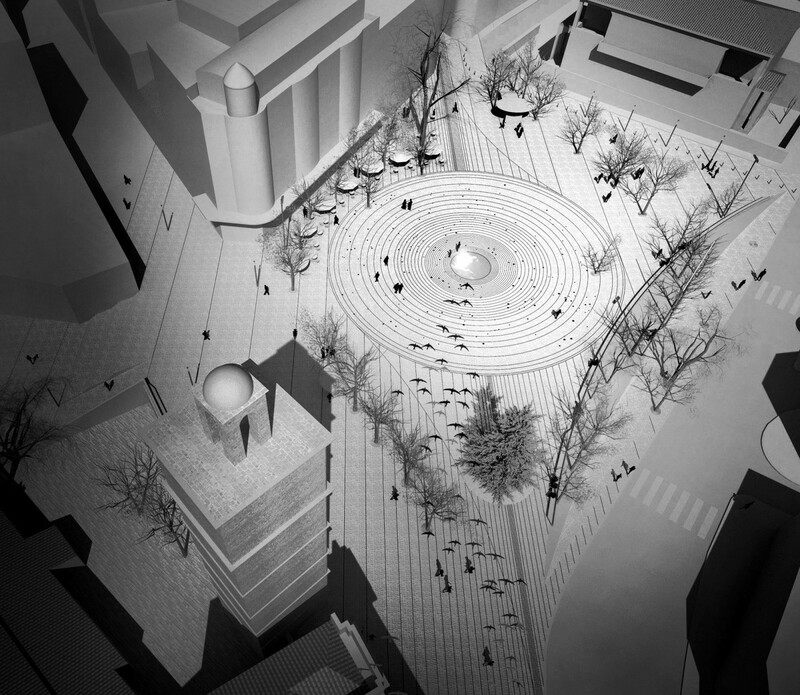 A void space defined by the Town Hall, the former guardhouse and the emblematic bell tower. In an old photograph, the Town Hall and the Tower refer with simplicity to the public void, the then-new square. 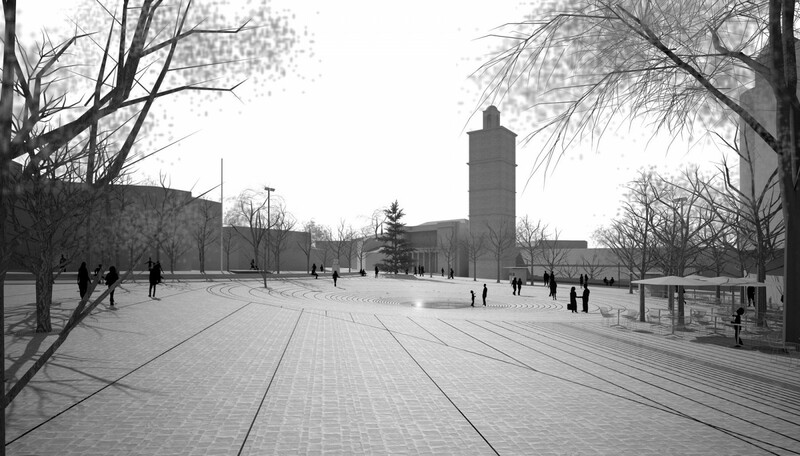 The obvious naivety of the design was compensated by the purity of the relationship between built and empty space. 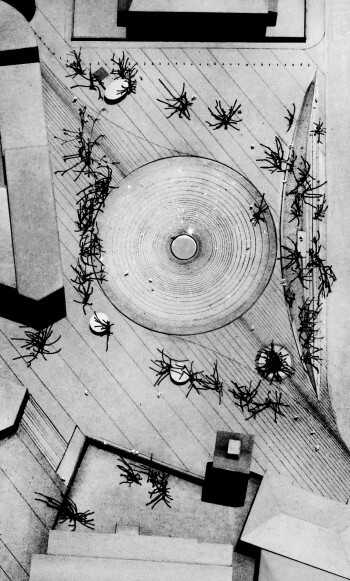 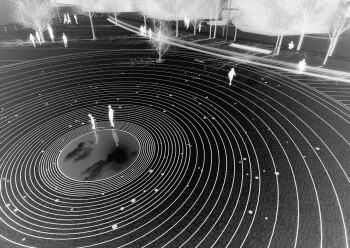 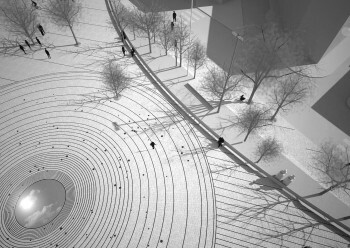 The proposal reactivates this central urban void, re-engraved as a circular space, anchored through a diagonal to what already exists. It is a ‘Kliorts’. According to the Kozanitic dialect: 'Klorts: a. 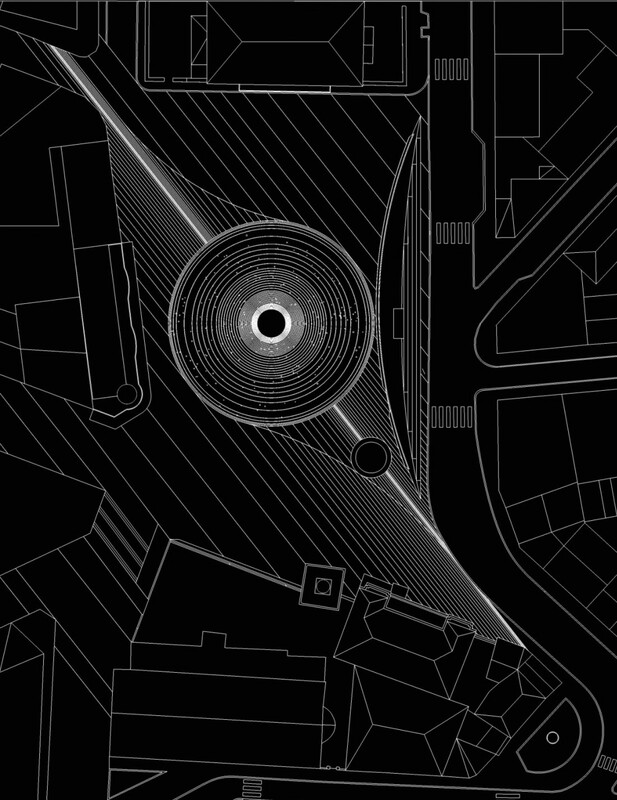 The principle of a concentric circular pattern, b. 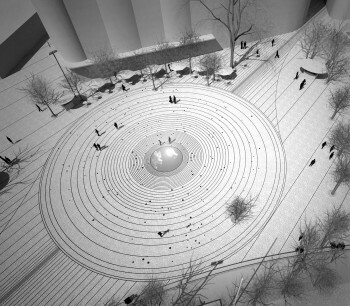 The circle for the gourkolia, a game. 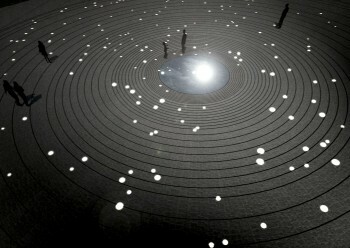 c. The central part of the kixiou, a traditional spiral pie." 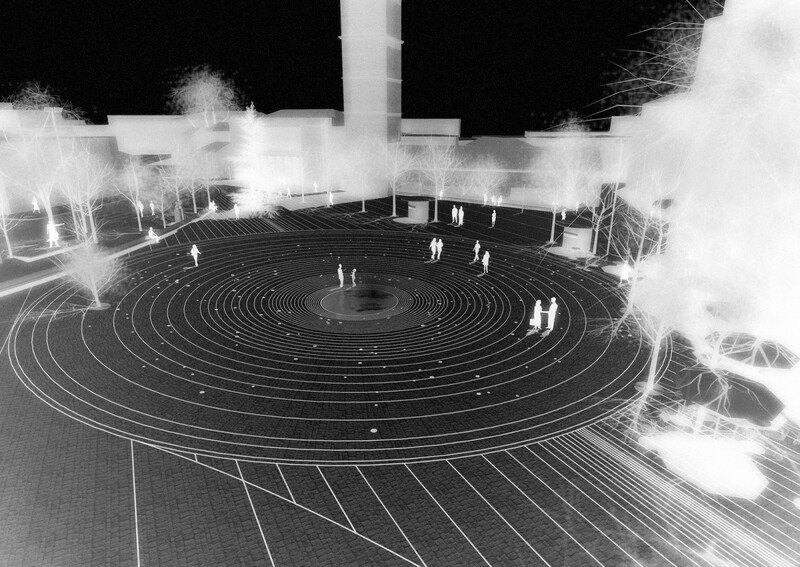 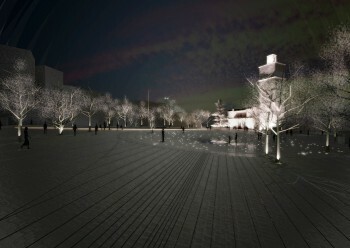 The new square is a concentric, visually powerful, plan. 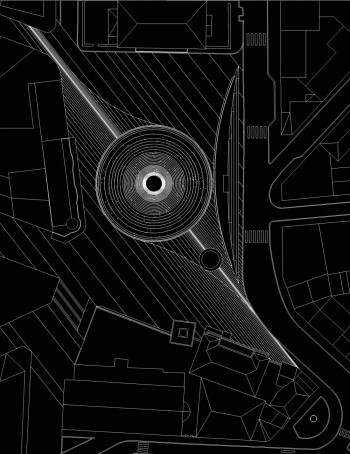 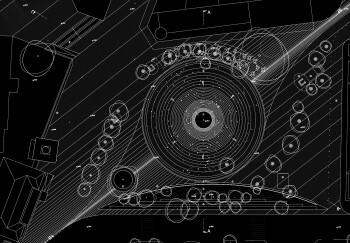 The central part descends, creating a light amphitheatricality that strengthens the power of the concentric design. The center remains immaterial as the sky: An aquatic mirror is constantly mirroring it, opening the square's center to the ephemeral lightness of stars and clouds. 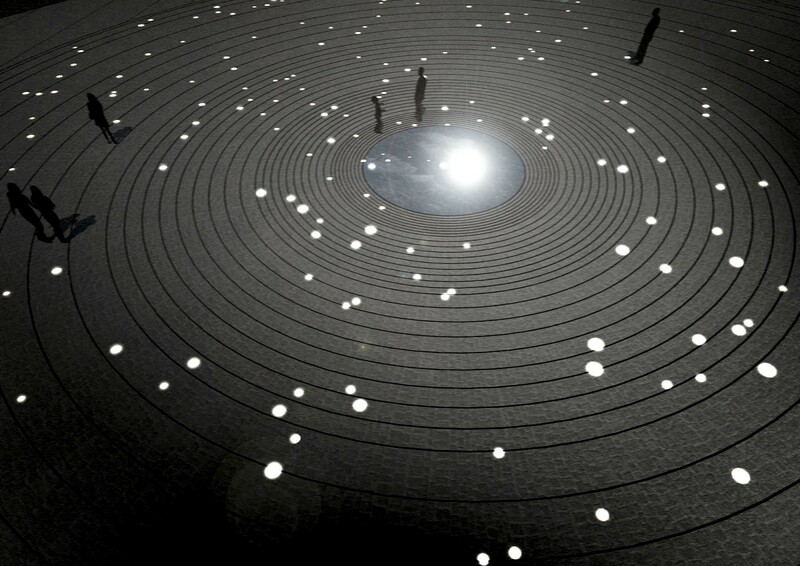 The constellations are depicted in the square, with the polar star in the center, forming the night lighting of the space. The celestial dome is symbolically anchored in the ground as a light imprint of the new public space. Victory Square re-appears empty, shining, open.